In various ways, these 30 books convey some of the philosophy of how Angel and I live our lives. I honestly credit a fraction of who I am today to each title. Thus, they have indirectly influenced much of what I write about on this site. A medley of both fiction and nonfiction, these great reads challenged my internal status quo, opening my mind to new ideas and opportunities, and together they gave me a basic framework for living, loving, learning and working successfully. If you haven’t read these books yet, I highly recommend doing so. They will enrich your library and your life. Stumbling on Happiness by Daniel Gilbert – Gilbert, a Harvard professor of psychology has studied happiness for decades, and he shares scientific findings that just might change the way you look at the world. His primary goal is to persuade you into accepting the fact that happiness is not really what or where you imagined it would be. This is my favorite book on happiness by a long shot. The Road Less Traveled by M. Scott Peck – Pretty much the granddaddy of all self-improvement books, it’s easily one of the best nonfiction works I’ve ever read. By melding love, science and spirituality into a primer for personal growth, Peck guides the reader through lessons on delaying gratification, accepting responsibility for decisions, dedicating oneself to truth and reality, and creating a balanced lifestyle. Getting Things Done by David Allen – The ultimate ‘organize your life’ book. Allen’s ideas and processes are for all those people who are overwhelmed with too many things to do, too little time to do them, and a general sense of unease that something important is being missed. The primary goal of this book is to teach you how to effectively get your ‘to-do inbox’ to empty. The 7 Habits of Highly Effective People by Stephen Covey – Covey presents a principle-centered approach for solving personal and professional problems by delivering a step-by-step guide for living with integrity and honesty and adapting to the inevitable change life brings us everyday. It’s a must-read. Atlas Shrugged by Ayn Rand – This novel is an explanation of what has been and always will be at the core of America’s prosperity: freedom and capitalism. It should be required reading for every American. All 1,069 pages are worthwhile. Hands down, Atlas Shrugged is one of the best, most influential books I’ve ever read. The Alchemist by Paulo Coelho – More parable than novel, ‘The Alchemist’ uses the story of young shepherd Santiago’s search for his personal legend as an allegory for everyman’s struggle to break from the comfortable confines of conformity and pursue his life dreams. Along the way, of course, our young everyman is beset by numerous setbacks, testing his resolve and forcing him to become attuned to the Soul of the World in order to survive. By paying attention to the details in the world around him, which serve as omens guiding him towards his goal, young Santiago becomes an alchemist in his own right, spinning unfavorable circumstances into riches. I’ve read this tale a few times now and it always provides priceless inspiration. The Magic of Thinking Big by David Schwartz – Schwartz gives the reader useful, proactive steps for achieving success. He presents a clear-cut program for getting the most out of your job, marriage, family life and other relationships. In doing so, he proves that you don’t need to be an intellectual or have innate talent to attain great success and satisfaction in life. The 4-Hour Workweek by Tim Ferriss – Ferris challenges us to evaluate our perspective on the cost and availability of our dreams, and he teaches us that hard work isn’t very hard when you love what you’re doing. Although there’s certainly some pages of self promotion within, Ferris provides invaluable tips to help us remain aligned with our goals, set expectations on our terms, and eliminate unnecessary time-sinks while increasing our overall effectiveness. How to Win Friends and Influence People by Dale Carnegie – Easily one of the best and most popular books on people-skills ever written. Carnegie uses his adept storytelling skills to illustrate how to be successful by making the most of human relations. Siddhartha by Hermann Hesse – A short, powerful novel about the importance of life experiences as they relate to approaching an understanding of self, happiness and attaining enlightenment. 1984 by George Orwell – 1984 still holds chief significance nearly 60 years after it was written in 1949. It’s widely acclaimed for its haunting vision of an all-knowing government which uses pervasive, 24/7 surveillance tactics to manipulate all citizens of the populace. In today’s world of continuous online connectivity, Orwell’s visions hit pretty close to home. The Great Gatsby by F. Scott Fitzgerald – Set in the Jazz Age of the roaring 20’s, this book unravels a cautionary tale of the American dream. Specifically, the reader learns that a few good friends are far more important that a zillion acquaintances, and the drive created from the desire to have something is more valuable than actually having it. The Grapes of Wrath by John Steinbeck – Steinbeck’s deeply touching tale about the survival of displaced families desperately searching for work in a nation stuck by depression will never cease to be relevant. The Richest Man in Babylon by George S. Clason – The best book on money management ever written. Although only 145 pages, this book is packed to the brim with powerful, life changing information. I’ve read it three times and I still pull new pearls of wisdom out of it. Babylon should be mandatory reading beginning at the grade school level, then again in college, and should be given as a gift right along with a college diploma. Quitter by Jon Acuff – If you’re looking for an honest account of what it’s like to make the transition from your day job to your dream job, this book is for you. The author doesn’t sugarcoat the journey or convince you that it’s worth making stupid decisions now that you’ll pay for later. He stays grounded in reality while inspiring you to truly connect with the things you’re passionate about, and he gives you hope and a plan for getting yourself there. The Success Principles by Jack Canfield and Janet Switzer – The creator of the ‘Chicken Soup for the Soul’ series reveals secrets to success with sixty-four timeless principles packed into this one book. Sixty-four principles may seem like a lot, but each receives a concise, easy-to-digest chapter that challenges readers to risk creating their lives exactly as they want them. This is easily one of the most practical books I’ve ever read on achieving your dreams. The Paradox of Choice: Why More Is Less by Barry Schwartz – Faced with too many options or decisions in your life? We feel worse when we have too many options. 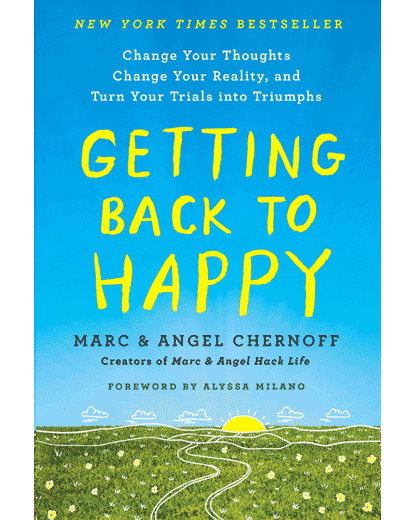 This book will make you feel better and change the way you look at them. Schwartz discusses people making difficult decisions about jobs, families, where to live, whether to have children, how to spend recreational time, choosing colleges, etc. He talks about why making these decisions today is much harder than it was thirty years ago, and he offers many practical suggestions for how to address decision-making so that it creates less stress and more happiness. The Personal MBA by Josh Kaufman – Unfortunately, the title may limit the market to business people, but the truth is we are all in the business of managing and selling ourselves no matter what our occupation. What makes this book warrant such a strong statement is the fact that it’s a comprehensive synthesis of all of the concepts you need to know to understand business inside and out. There are no complex models to learn or outdated theories to memorize just to get marks or pass exams. What you get is a clear, comprehensive set of ‘rules of thumb’ for any possible scenario you might encounter in running a business (or just your life in general). The Art of War by Sun Tzu – One of the oldest books on military strategy in the world. It’s easily the most successful written work on the mechanics of general strategy and business tactics. The Wisdom of Crowds by James Surowieckiv – Great examples of how groups of diverse people acting independently are smarter than any one person in the group. This is one of the most entertaining and intellectually engaging books I’ve come across in a long while. The author has a gift for making complex ideas accessible, and he has a wonderful eye for the telling anecdote. The material within has huge implications for management, markets, decision-making and more. The Power of Full Engagement by Jim Loehr and Tony Schwartz – The authors worked with the best athletes and executives for years and found that the best ones knew how to push themselves, then recuperate, push, recuperate, and so forth. Take this same approach to your emotional, mental, physical, and even spiritual life, and it’s a powerful metaphor. Think of sprints, not marathons. Be fully in whatever you’re in, then give time to recuperate. But push further each time, past your comfort zone, like a good exercise plan. Switch: How to Change Things When Change Is Hard by Chip and Dan Heath – An easy to read psychology book about real ways to make change last – both personal and organizational. So many powerful insights, based on fact not theory. Inspiring counterintuitive stories of huge organizational change against all odds. Highly recommended for people in all walks of life. The Four Agreements by Miguel Ruiz – I have read so many books promising joy in my life, yet I have read none as simple and practical as that of ‘The Four Agreements.’ This book is a beautiful instruction guide to achieve a life of freedom and happiness. The author teaches four lifestyle commitments which can transform life into the realization of your own personal dream. Simply put, this small book has made profound positive changes in my life. Economics in One Lesson by Henry Hazlitt – The chapters are short, the prose is easy to follow and the logic is compelling. I’ve never seriously studied economics in my life, yet I had no trouble following the reasoning in this book. This is a must read for anyone who wants to understand basic economics and the keys to widespread prosperity in the long run. Rich Dad, Poor Dad by Robert Kiyosaki – It is unfortunate that in America, arguably the greatest nation in the free world, few people including those with high incomes understand the value of investing and the proper use of money strategies. You can live off your income, but you can’t get wealthy off your income. True wealth is the result of using principles described in this book. This is a classic, must read for everyone. The Hitchhiker’s Guide to the Galaxy by Douglas Adams – This novel is hilarious and depicts some pretty insightful observations about life, people, and the world in general. Under it all, it’s an enjoyable read that will leave you yearning for more. If you don’t like science fiction, it doesn’t matter; read this book just for the laughs. The most amazing thing about Adams’ humor is the fact that everyone seems to get it. To Kill a Mockingbird by Harper Lee – The themes within primarily involve racial injustice and the destruction of human innocence. The author also addresses issues of class, courage, compassion, and gender roles in the American Deep South. It’s simply a classic piece of our American history that depicts racism and prejudice, childhood innocence, and the perseverance of a man who risked it all to stand up for what he believed in. One Flew Over the Cuckoo’s Nest by Ken Kesey – The plot follows a sane man that, due to a brush with the law, opts for being committed in a mental asylum rather than be incarcerated with hard labor. Upon his entry into the secluded world of the asylum, he strips all the barriers formed and starts laying his own rules, in his own way. This leads to problems with the head honcho of the place. The rollercoaster that the protagonist takes the inmates through finally leads them to realize the ultimate goal. That man, no matter the situation, can always hold his destiny in his hands. What are your favorite books? How did they change your life? Leave us a comment below and let us know. Don’t be discouraged to begin reading these if you have already past 30 years of age. These are great to read at any age, as at any age one can do great things. These are exactly the type of books that I like to read, another book I have heard good things about is “The Art of Speed Reading People” by Paul Tieger which I have just ordered. What a treat! Look at all the comments filled with suggestions for more great reads…how lucky are we to have an endless sea of inspirational books? The Millionaire Fastlane. This book really altered the way I spend my free time and made me appreciate my free time more. “Way of the peaceful warrior” – add that to your list. Great list. I also recommend Twelve Universal Laws of Success by Herbert Harris. I will recommend “Proof of Heaven” a different & excellent must read. Great list of books, many of which I have read..many I have not. As I approach 2x 30, I am starting to appreciate these (and other) tomes of knowledge better. I agree that Atlas Shrugged should be REQUIRED reading for everyone. It reads like a modern day newspaper. Ayn Rand must have had a crystal ball. I believe you should read On The Road by Jack Kerouac before you turn 40. I want to offer an alternate view on Atlas Shrugged. I think it’s a boiled down childish view of how the world works, though it’s concealed with the mask of faux-complexity. How can you forget to include The Alchemist to this list? I’ll add it for you. Of course, there are lots of great books missing from the list, but the choice is worthy and I read the titles with a moment’s ego attack wondering if (or, being positive) when one of my titles appeared on such a collection. I shall have to stumble less and write more. Atlas Shrugged has got to be one of the most incredible books around. About taking it on yourself to doing what it takes to bring about success, fulfillment, and developing a change. Having loved self-improvement most of my life I set out to find an exact method to producing change. Little did I know when I started what a development it would be for me. Over twenty-five years later I can finally describe how change actually takes place within us. Gutap – the system to achieving core level change of any limiting belief. If you were programmed you can now be reprogrammed. 1. Feel the feeling of your false belief to know it. You have to feel your feelings in order to change them. 2. Find what the false or limiting belief truly wants you to know to be better. What does the false belief actually want you to know that is positive? 3. Connect that feeling of the positive answer (not necessarily the concept or picture) to the negative feeling of the false belief to let it flow into negative feeling to change it. The positive feelings change it – you don’t. The example I use for proof of Gutap is anger. Forgive. Forgiveness cures anger almost instantly. When you are angry and you forgive them your anger is gone. It takes one feeling to heal another. Every “negative” feeling has its own positive healing feeling. I’ve had a link to this website in my bookmarks for 3 years. I’ve chipped away at some of this list, but just now added them to my reading queue and will be reading them from my library of the next few months. For those who did the same with this list, don’t ‘bookmark for later’ but start reading these now! I’m approaching 30, and agree with everyone else that these books are timeless and a good read at any age. Marc, thank you for sharing this rich list of resources with us! I’ve only read 16 of those books and I am over 40 but I gotta tell you that I am promising myself that it is not too late, and I will read the others! I have learned so much through reading great books, and I constantly encourage others to try reading as a hobby. These books are indispensable, and great for referral. “The 7 Habits of Highly Effective People” and “Getting Things Done” are my picker-uppers. Don’t know what I would do without them! These are books that I “do not” lend out and often purchase as gifts for friends and relatives. I would just like to add that one can learn a few life lessons from the “The Hunger Games” series also. Last, but definitely not least, I have to pay homage to the internet for making all types of invaluable resources freely and readily available to enrich and enhance our lives. Thank you. Thank you. Thank you. Batching ressonates with me a great deal. Since I read it in the 4HWW, it has been a great useful technique for my productivity. Great list! I’m over thirty and I got some catching up to do. Daemon and Freedom by Daniel Suarez. Love love love your list. I read The Alchemist over and over as it just brings about a new realization every time u read it. My other personal favorite i read over and over is Mindpower by John Kehoe. Awesome.